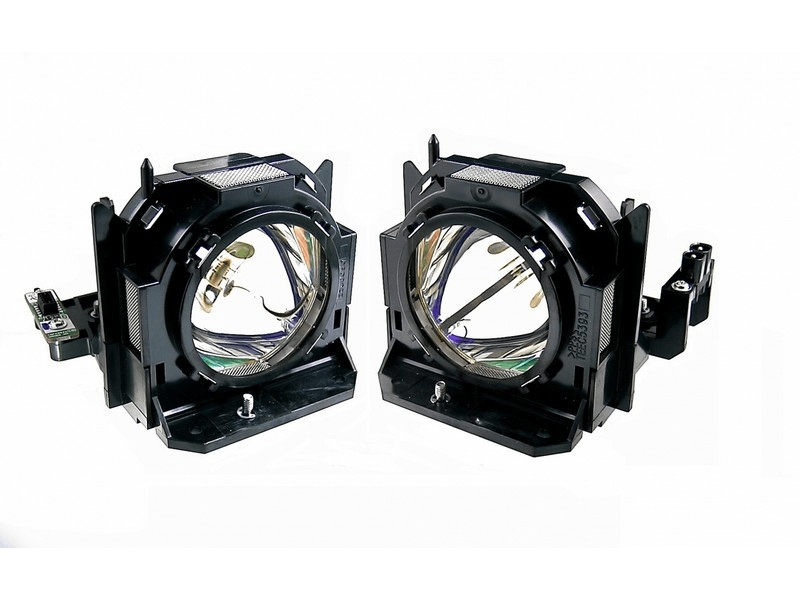 The PT-DZ680 Panasonic twin-pack projector lamp replacement comes with genuine original 300 watt Osram brand PVIP bulbs inside rated at 6,500 lumens (brightness equal to the original Panasonic lamp). The PT-DZ680 Twin-Pack has higher lumen output and longer lamp life than other cheaper generic replacement lamps being sold elsewhere. This Twin-Pack also has a Lamp Run-Time Module that is calibrated and tested during Pureland Supply's quality control process. It is guaranteed to operate the same as the original and will count your run time correctly to ensure proper function of your projector. PT-DZ680 Panasonic Twin-Pack Projector Lamp Replacement. Projector Lamp Assembly with High Quality Genuine Original Osram P-VIP Bulb Inside. I manage over 60 Conference Rooms for our Company, and a third of the rooms have projectors. A bulb going out is always a concern, and to have a room down really hurts. Pureland Supply has been there for me over 12 years. Their prices are good and their service is even better. I have some older projectors that you would think getting bulbs for would be tough, but they always have what I need in stock. If they can, they ship the same day. I needed my last order Overnighted, and they were here the next morning. I can't praise them enough, thank you. Lamps arrived on time, the timer reset properly, and our projector is back up and running nice and bright.